The ideal season to hit the beach is here, and you’re ready for it. You’re probably heading for a resort on a beach date. Or you just want to chill on the seaside with a few girlfriends. Whatever your plans are, you’ll want to consider what to wear before heading out. The best fashion bloggers out there have been coming up with some really excellent outfits for the beach. They range from swimsuit cover-ups to apparel that will look perfect for having lunch at the bar. 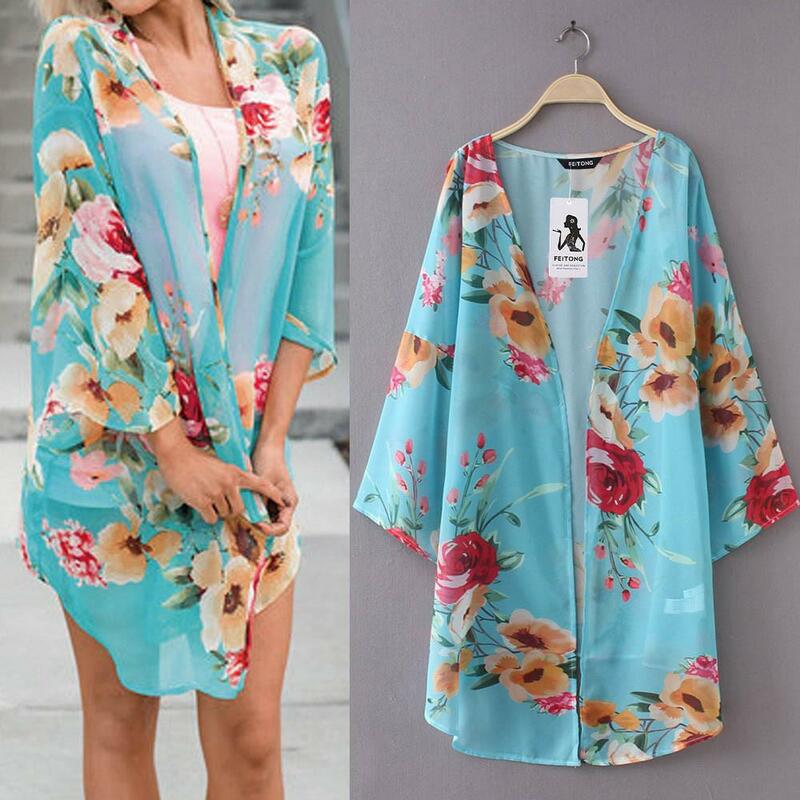 The printed kimono is a beach outfit that looks great with a simple black one-piece bathing suit. It is a flowing semi-sheer, tropical, and colorful. You can throw in a glamorous wide-brimmed hat to complete the look. It adds fun to your appearance while protecting your face. Do you plan to lounge at the pool of a resort or a public one with your lover? Why don’t you borrow his shirt and tie it over your swimsuit? It’ll be an instant crop-top with a lot of uptown style. Do remember to add a pair of platform sandals and you will be ready for lunch at the poolside or the beach bar. Among street-style clothing, rompers take the central stage. However, they look better at the beach than the street. Pick a romper with tropical prints on it to create a resort-ready appearance. You’ll be the catcher of all eyes at the seaside lounger for lunch or at the bar after sunset. 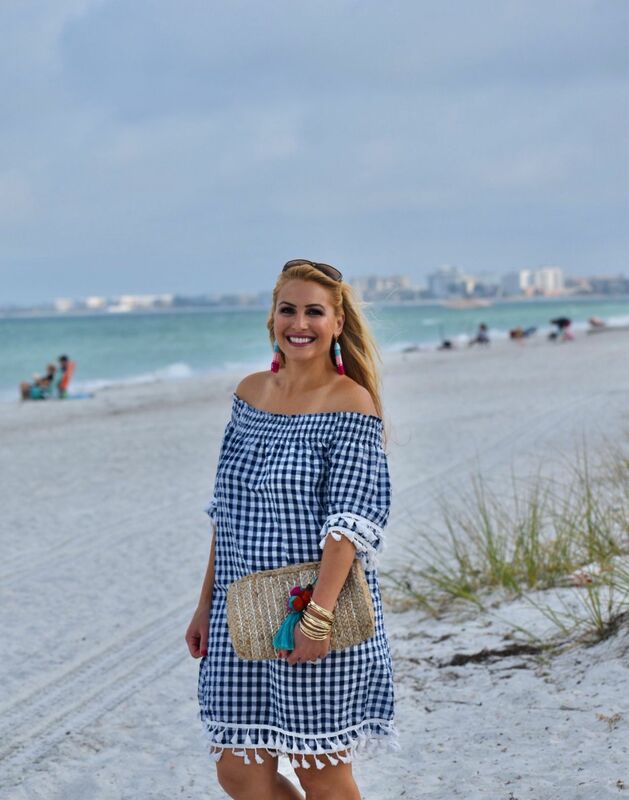 The gingham print is in trend this summer, and everyone is after apparel of this style. This print is showing up on everything, including footwear. You should try out a gingham print swimsuit and match it with shoes and a pair of high-waist striped shorts. When you’re at a beachside resort, you often have to head towards the town for lunch. A comfortable outfit which includes a pretty lace tank top and a pair of denim cutoff shorts will make you look gorgeous on the patio. Don’t forget to wander into the shops while returning from the restaurant to the beach. Tag in a fabulous bag and sandals to take your fashion game up by a notch. Fashion specialists believe that white button-down shirts are some of the most versatile clothing for women. You can put on a classic white shirt and keep it open like a kimono. Wear a retro-style polka-dotted swimsuit under it. If you’re planning to hit the beach straight from the streets, then you should wear a pretty summer dress. Put it over your swimsuit to make it a cinch. Add a cute pair of sandals and hoop earrings to be all set and ready for a post-beach cocktail party.